Successful companies pursue continuous improvements that drive revenue growth. 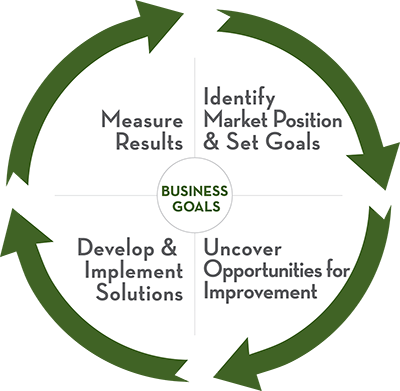 Our Net Realization program provides a framework for achieving these business goals. We start with data. And lots of it. Over 30 million origin and destination transactions a year, in fact. We turn that data into actionable intelligence by developing analytics to uncover inefficiencies in the supply chain and their causes. Finally, we provide the tools necessary to measure the results of supply chain adjustments that will improve performance for both the supplier and the consuming facility. Are other sellers in the market getting a higher delivered price? Which of my price components are out of line with market? Market maker or a price taker? Risk is lower when sales volume is spread evenly over the curve. Uneven distribution across the curve shows areas where money is being left on the table and identifies acheivable market price points for future sales.